Purchasing or renovating a cottage property is a closely held dream for many Canadians. With a desire to enjoy this dream sooner than later, often cottage mortgage financing is required. Our specialized knowledge in cottage mortgage financing and the lowest interest rates can help make your purchase its least expensive, and most enjoyable. Refinance your existing house, and remove enough equity to buy the cottage outright. 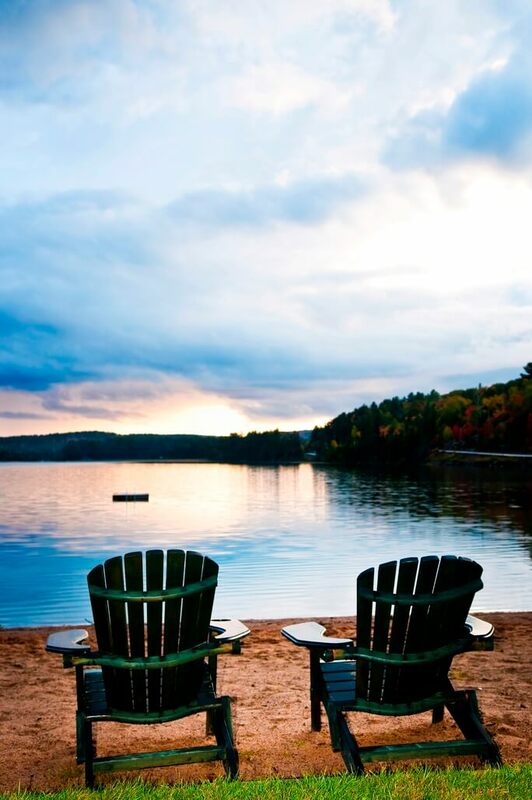 Arrange for a mortgage on the cottage property itself. The advantage of option 1 is that some of the absolute lowest rates in the market are available. Your main occupied property is likely in an urban setting with strong infrastructures and lots of nearby sales activity. 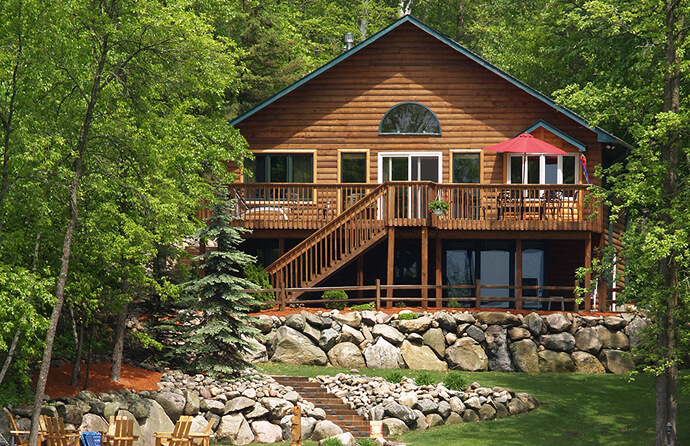 Cottage properties are often non-serviced and can take longer to sell. This can sometimes lead to slightly higher rates. It is also typically easier, in general, to obtain an approval on an owner occupied property. The advantage of option two comes into play if you would prefer that your existing mortgage remains in place as is, with the new mortgage associated directly with the new cottage property. Perhaps you’re buying with another family member and want to simplify matters by securing the mortgage directly on the cottage property. Perhaps you’d like to discuss a combination of these two. Type A Cottage Properties: Essentially a second house. Have a full foundation ( the structure is not movable). Are fully winterized/ 4 season dwellings. Are accessible by municipally plowed road/ year round access. Is located in an area with demonstrated, reasonable resale demand. Type B Properties: The more ‘rustic’ ambiance. Needs full foundation ( the structure is not movable). Property does not have to be winterized. Property does not need year round access. For a property that is purchased with less than 20% down payment, mortgage default insurance (often known as a CMHC fee) would apply. If the property is purchased with 20% or more down payment, there is typically no mortgage default or CMHC insurance premium. In practice, when a property is purchased with less than 35% down payment, it needs to reflect as a ‘Type A’ property as described above. The structure can be ‘cottage-like’, and it can run off well water or even specially treated lake water. But the property would likely need to be a four season property with road access all year around. The more the down payment is on the spectrum, typically the less stringent lenders become about the property details. At 35% down payment, Type B properties as described can usually be approved for cottage mortgage financing. These kinds of properties include highly rural properties, island properties and other properties that do not feature year-round road access. The property should still be secured with a foundation of some sort. So, lenders treat cottage properties in more of a case by case basis, and the cases run on a spectrum from one end of the ‘A Type’ to the far end of the ‘B-Type’ property. How do you know where you stand? Where do you go from here? The most effective way to get some detailed financing information on your cottage purchase is to send US a copy or link of the MLS. From here we can look at how a lender may view your property, and even show the listing among lender before any formal submission. Submit your application for pre-approval. AN representative will contact you for more information, and to discuss your unique situation and goals. If you have a cottage property in mind, this listing can be discussed and lender shopped at this time. Once you have made an offer to purchase,WE will arrange your lowest cost mortgage solution and provide you with all the details. Al of your questions will be answered, and your approval documents are submitted to the lender. Once the lender has been ‘satisfied’ by the documents returned to them, it is safe to waive your condition of financing and proceed to closing.